John is a partner in our Corporate and Commercial department. John joined J.W. O’Donovan in 2011 having trained and practised in the commercial department of one of Dublin’s largest firms. He has also spent a year working as lead in-house counsel to an Irish medical devices company with a global distribution network. John has a particular interest in intellectual property and has advised companies on all aspects of corporate and commercial law from start-ups to multinationals. 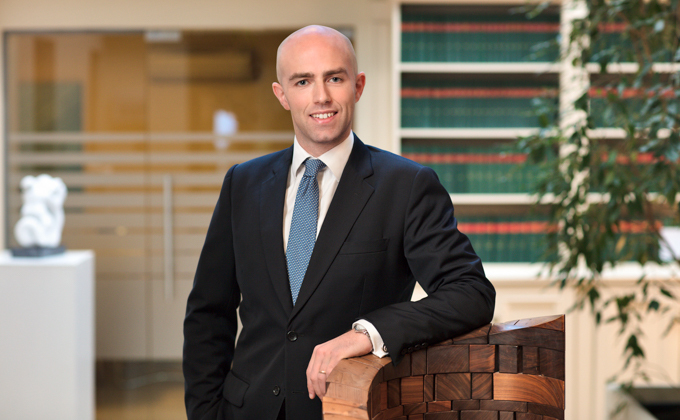 John holds a Bachelor of Civil Law and a Masters in Law from University College Cork. He also has a diploma in Intellectual Property and Information Technology Law. John is a member of the Southern Law Association and is Chairman of the SLA’s Commercial Law Committee.